Just 5 minutes from downtown Montevideo, La Aguada is a quiet neighborhood of elegant 19th century buildings, wide open spaces, and one of the lowest population densities in Uruguay. 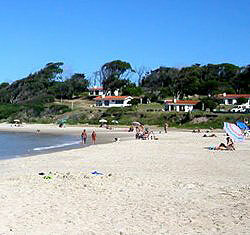 Country houses in the district have scenic views of the Río de la Plata and the city port. The massive General Artigas Railway Station is undergoing major development, which includes converting warehouses into residential or commercial units. Also being built is a world-class cultural centre and concert hall.